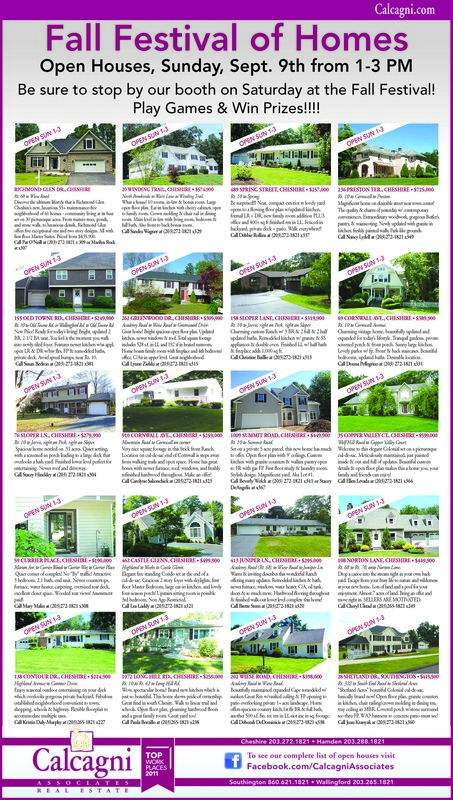 http://bit.ly/Qomo1z … Look for our ad in today’s Cheshire Herald! This entry was posted in 1st Time Home Buyer, Buyers, Calcagni Associates, Cheshire Real Estate, Connecticut Real Estate, Open House, Real Estate and tagged Calcagni Associates, Cheshire Fall Festival, cheshire real estate, connecticut real estate, ct home buyer, Fall Festival of Homes, Open House. Bookmark the permalink.